SF Supervisor to SolarCity: Where’s That Job Training Program? A spat over SolarCity’s promise to provide job training highlights San Francisco’s struggle to create ‘green’ jobs. A San Francisco supervisor is at odds with SolarCity over the installer's promise to create a job training program in a low-income neighborhood, a conflict that highlights the city's struggle to create "green" jobs and protect local businesses. Supervisor Chris Daly is pressing SolarCity to fulfill the pledge it made in April 2008 when it was persuading San Francisco political leaders to pass what became the city-funded GoSolarSF program, which the city touted as the largest municipal solar program in the country (see San Francisco Solar Incentive Becomes Official). In a committee meeting last week, Daly asked SolarCity CEO Lyndon Rive why he hasn't created a job training program in the Bayview-Hunters Point area. Daly, who didn't vote for the GoSolarSF program, said he wanted to keep SolarCity accountable given that its promise influenced the final vote. "The training academy was dangled in front of us as an incentive to vote for the pilot solar incentive program," Daly said at the meeting (see Nov. 5 video). "I'm trying to figure out how to deliver promises that were made." Rive said the company had to put the plan to create a job training program on hold because of the financial market collapse last fall, which prompted SolarCity to freeze hiring and suspend other business plans. Since business has improved this year, SolarCity has re-launched its effort to provide job training, Rive said. Given the feedback it has received from the community, SolarCity is working on supporting an existing job program rather than creating its own, Rive added. "We were once again engaged not to build our training academy, rather to donate solar systems and to train a trainer to train students," Rive told Daly. Rive declined to disclose the community group the company is working with. Daly said he's not insisting on a new job training center, but wants SolarCity to make a comparable contribution to creating new jobs. A SolarCity spokesman said the company will provide details when it finalizes its plan with the community group. The committee hearing ended with Daly hinting at the possibility of pushing for changes that would make GoSolarSF eligible for only San Francisco-based installers. SolarCity is based in Foster City, which is just south of San Francisco. The dispute over the job training program points to the difficulties facing local governments as they seek to turn pots of public money into jobs in a struggling economy. The unemployment rate surpassed 10 percent last month, the first time since 1983. Daly said GoSolarSF has spent millions of dollars to put solar on residential and commercial rooftops, but it hasn't done enough to create new jobs. As of October, the program has paid out $3.5 million in rebates to home and business owners for installing solar energy systems, Daly said during the meeting. Another $7.5 million to $8 million worth of applications are in the queue. The program has created 38 jobs in San Francisco since inception, he added. SolarCity has hired six local employees, and four are still working there. Overall, the jobs aren't materializing as fast as promised by supporters of the program, Daly said. "We are not talking about a very effective new job program for San Franciscans in what is the worse economic decline since the depression," said Daly, whose district doesn't include Bayview-Hunters Point. Daly said he didn't support GoSolarSF because he wanted city money to be used for installing solar on city buildings and other properties. Now that the program is in place, he said he wants the program to do better at adding jobs in San Francisco. Mayor Gavin Newsom's office hasn't returned an email and call for comment. 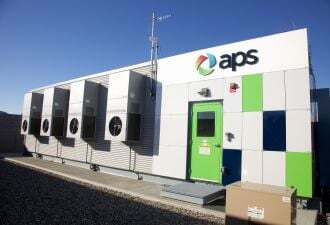 The city already modified the program in May to favor San Francisco-based installers, whose customers would get higher rebates, said Barbara Hale, assistant general manager for power at the San Francisco Public Utilities Commission, during the meeting. That change knocked SolarCity off the list to become the No. 1 installer for the program, in terms of the number of rebate applications. San Francisco-based Luminalt has advanced from No. 2 to No. 1. Another San Francisco installer, Occidental Power, has remained at No. 3, Hale said. Hale also noted that an annual report from SFPUC showed that SolarCity had hired more "disadvantaged residents" from GoSolarSF's own workforce development program than other installers had. Daly honed in on the promise Rive made to San Francisco political leaders in early 2008 that SolarCity had planned to hire 2,000 to 3,000 workers in the next four to five years. Daly played a clip showing Rive seeking support for the GoSolarSF program and telling supervisors that he would take his job training academy to San Jose if San Francisco didn't pass the solar incentive program. Rive, for his part, said after he made the pledge he discovered that members of the Bayview-Hunters Point community preferred to see SolarCity invest in an existing job training center. Plus, the city decided to create its own solar job training program through GoSolarSF, Rive said. Residents are entitled to higher rebates if their solar energy systems are installed by graduates of the city's job program, he said. Jonathan Bass, a SolarCity spokesman, said Monday that the company decided to forgo building its own academy after meeting with the Southern Waterfront Advisory Committee, part of the Port of San Francisco. The committee said many job training programs already exist, so creating another one wouldn't be as productive as investing in an existing one, Bass said. Daly and others are using SolarCity to "create a political theater and criticize the [GoSolarSF] program," he said. "No matter what happens we will follow through with the training program." 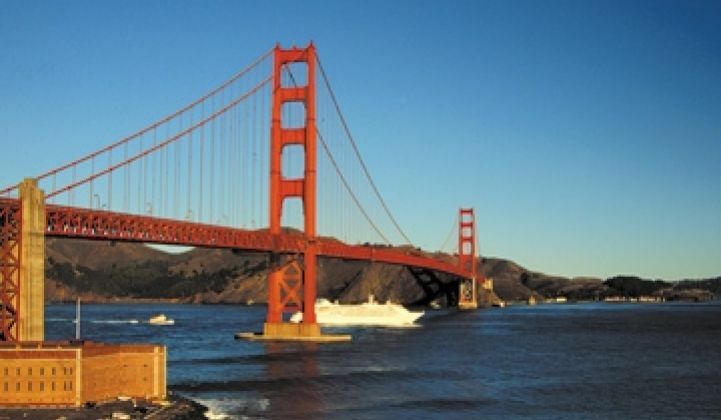 Photo courtesy of the San Francisco Convention and Visitors Bureau.